Dogrib caribou skin lodges were a primary form of habitation for centuries. 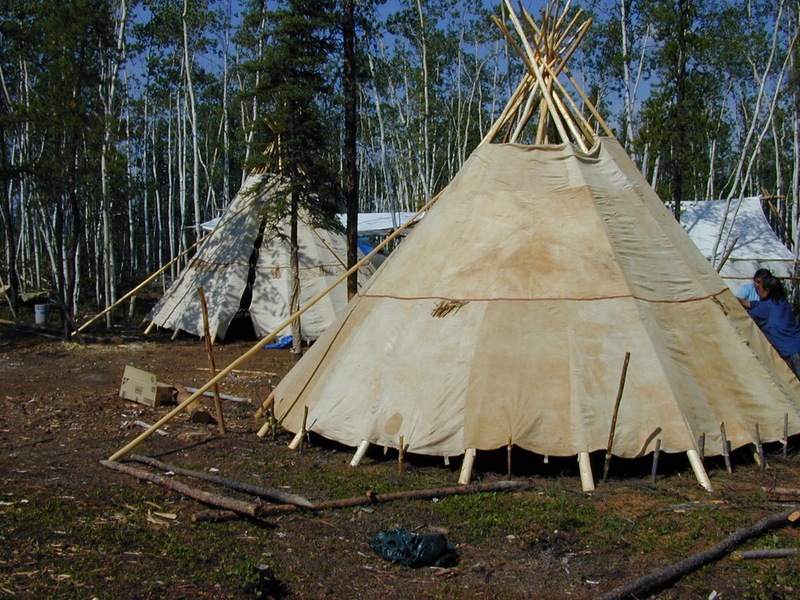 At the beginning of the 20th century, hundreds of these lodges were in everyday use, but when canvas tents became a common trade item in the 1920s, the caribou skin lodges quickly disappeared. In 1997, the University of Iowa Museum of Natural History returned a 104-year-old Dogrib caribou skin lodge to the Northwest Territories with the help of anthropologist June Helm and Natural History Museum director George Schrimper. Purchased from the Dogrib trading leader Bear Lake Chief in 1893 by naturalist Frank Russell, the original lodge was carefully stored in Iowa for over a century. The lodge returned to the NWT by the University of Iowa is likely the only surviving Dogrib caribou skin lodge, and it has since become an important touchstone to a bygone era. In June of 1998 the Prince of Wales Northern Heritage Centre, in partnership with the Dogrib Nation, opened a 5-month exhibit of the original lodge. Due to its age and fragility, the exhibit was dismantled in October 1998, and the lodge was placed in storage at the Northern Heritage Centre. In order to fulfill community expectations of seeing the lodge on display, the Prince of Wales Northern Heritage Centre joined forces with the Dogrib Community Services Board and the Dogrib Treaty 11 Council to develop a project to create two replicas of the original. A comprehensive booklet was prepared for the exhibit. 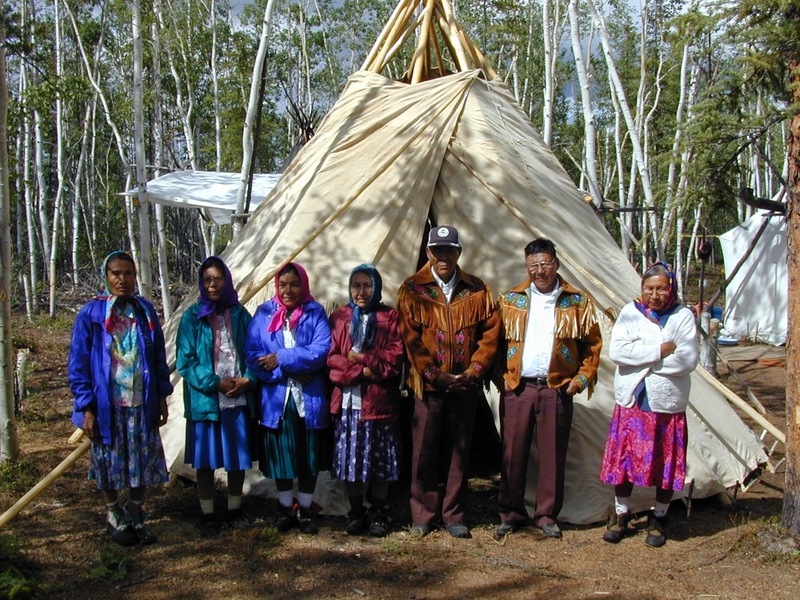 Elders established a camp at Russell Lake near Rae where, throughout the fall of 1999 and spring of 2000, the lodges were made. A group of seven Dogrib women agreed to tan the hides, sew and decorate the lodges, and to teach their skills to young Dogrib children. 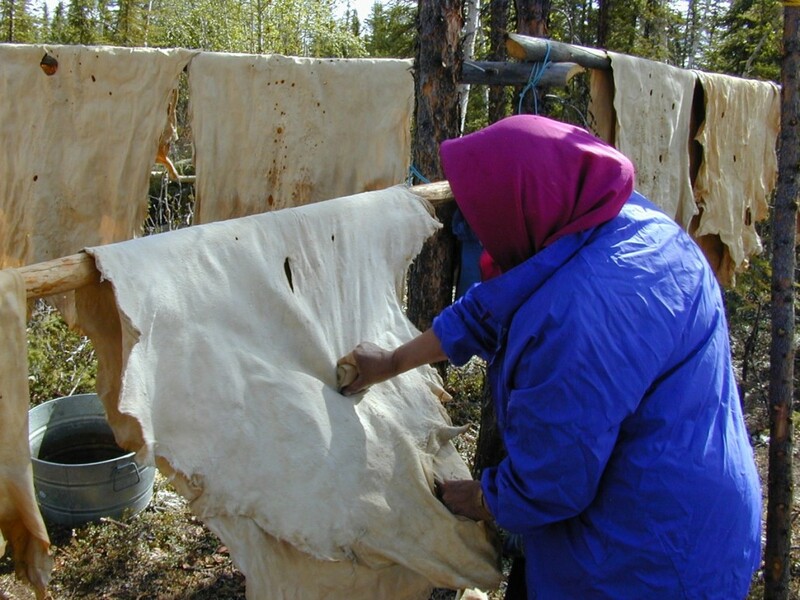 The laborious process of tanning the hides took several weeks. 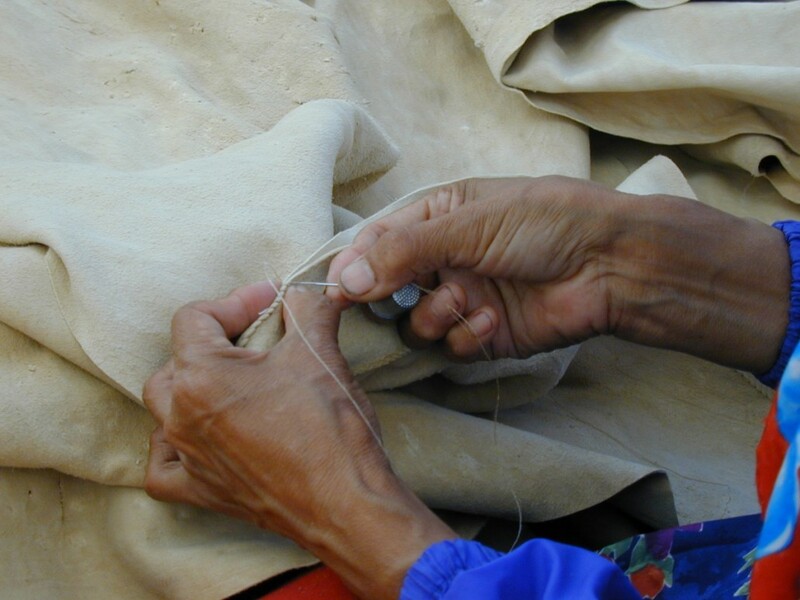 Cutting and sewing the lodges with caribou sinew took three additional weeks. The completed lodges were decorated with red ochre collected from a site near Rae. While the women were working on the hides, the men travelled by boat to collect the ochre. 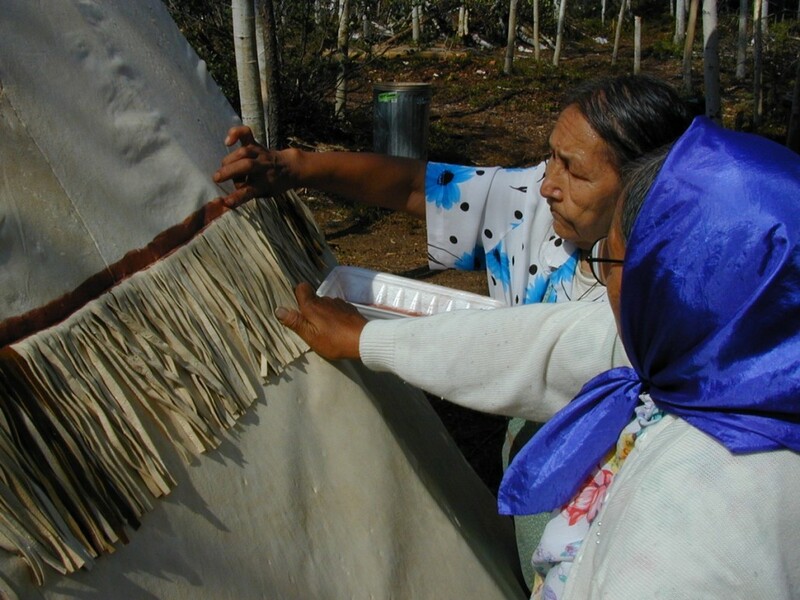 As in the old days, the ochre was mixed with water and applied to the hide with fingers. 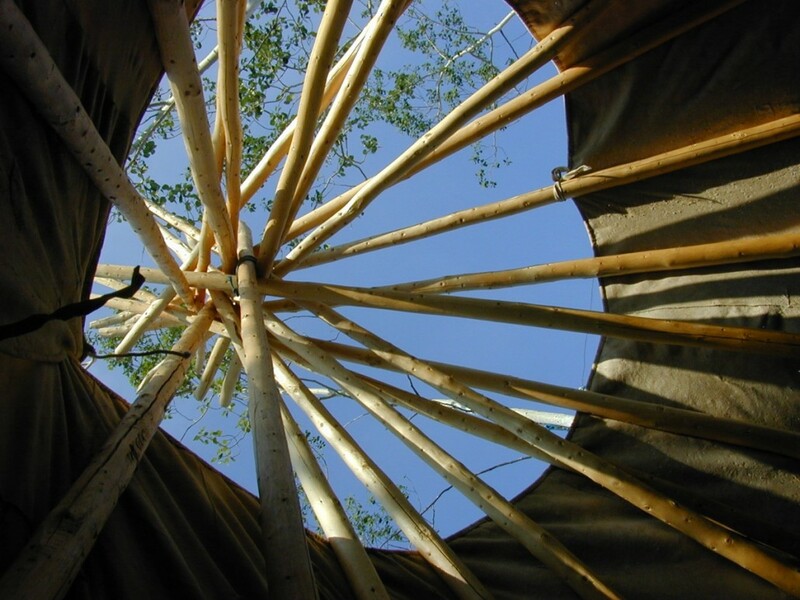 The red ochre band helped seal the seam to make it waterproof, while providing some colourful decoration to the finished lodge. Ochre is also associated with medicine power, and by painting a ring around the lodge, it protected the inhabitants from harm. 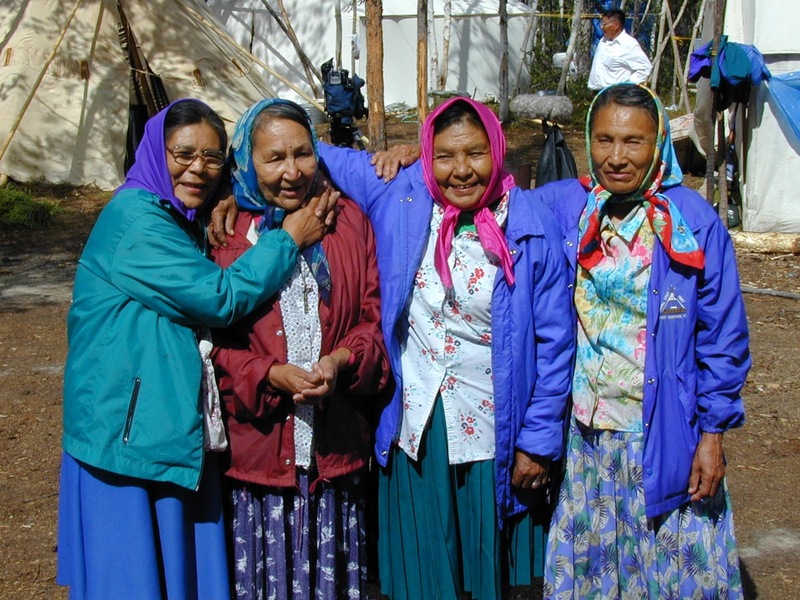 At the Dogrib National Assembly in August 2000, the lodges were erected for all to see, and the women were congratulated for their hard work. At the ceremony the Dogrib Nation gave one of the lodges to the Prince of Wales Northern Heritage Centre to be incorporated in a permanent display . The other lodge will be used in the Dogrib school system, and at special events. A short film showing all aspects of the work was produced in 2001 and can be viewed on the right.